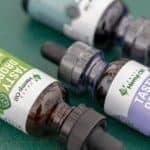 CBD is the most talked-about supplement of today. With so many consumers using CBD hemp oil products for their pain, anxiety, sleep, and a laundry list of issues, the question will inevitably come up – if CBD is good for me, is it good for my pet? What kinds of problems can dog hemp oil or hemp oil for cats really treat? Well, the short answer is, everything CBD can do for humans, it can do for pets. From hemp oil for dog anxiety to hemp oil for cats’ pain, CBD hemp supplements have become a popular solution for pet owners. Just as with humans, many medications prescribed by veterinarians have harsh side effects that can sometimes be worse than the issue being treated. CBD oil can be used to treat many common illnesses without the discomfort of unwanted side effects. If you’ve read the guide to CBD for pets, and want to try a CBD supplement for your dog or cat, where should you start? 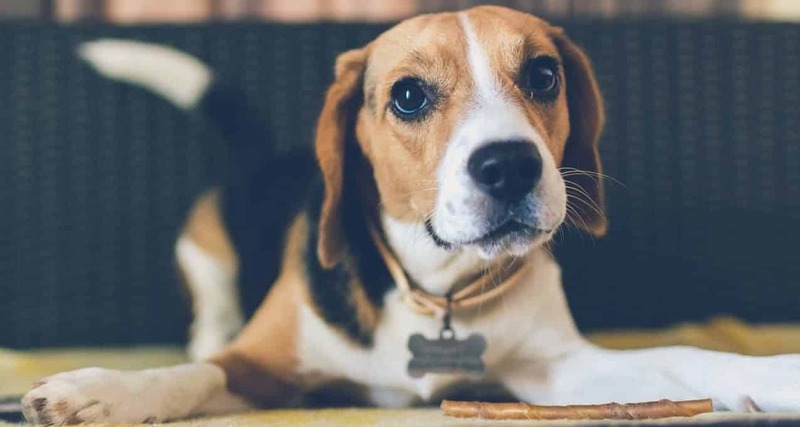 For curious pet owners, Guide to CBD has researched CBD brands and products that put pets first, with special blends designed for pets, pet-friendly products like CBD dog biscuits and hemp oil cat treats, and more. The products reviewed here are selected because of their focus on products for pets. Products are presented in alphabetical order by brand name. 4 Corners Cannabis, located in Bayfield, Colorado is dedicated to producing the highest grade CBD products. They ensure their products are the highest quality and effectiveness with third party testing. They are a seed to sale operation and only use one strain of cannabis for extraction. Their pet hemp oil, Pedigree, is organic and full spectrum CBD. It is limonene free and contains anywhere for 250 mg to 1000 mg CBD, depending on the bottle size. This product helps pets be less anxious and live a happier, healthier life. 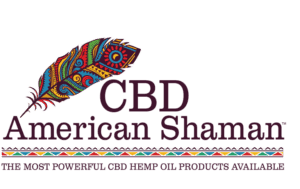 CBD American Shaman has been dedicated to bring health and wellness to the world through their terpene rich CBD oil in which only the highest quality of hemp is used. Their pet hemp oil is 100% organic, gluten free, non GMO and has no metals or insecticides. All ingredients are batch tested by a third party lab. Their Canine CBD Hemp Oil Tincture THC Free is known to help manage pain, reduce anxiety, and improve over health of your pet. The flavors are beef and cheese and each bottle contains 300 mg of CBD. 1 ml or less, twice a day is all you need to improve your pet’s health. Hemplucid, located in Orem, Utah, has a line of CBD dietary products for pets, called Roxy Pets. They have created a nutritious full spectrum CBD bonded addition to your pet’s diet. Animals respond to pet hemp oil the same way humans do, with balance, relaxation, calm, increased mobility, and playfulness. Hemplucid is 100% organic hemp rich whole plant hemp oil. 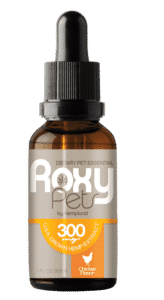 Roxy Pets offers the amazing benefits of improved appetite and digestion, relief from joint stiffness, and healthy skin and fur. All products are tested by a third party lab and all products ship with product specification sheets. 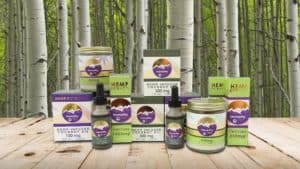 Hemp My Pet, located in Longmont, Colorado, stands behind the quality and integrity of their products from seed to sale. All of the products contain the highest human grade ingredients. Hemp My Pet believes hemp pet oil is beneficial for healing mental and physical trauma and that animals have the right to heal naturally. All products and ingredients are tested by a third party lab to ensure the potency of each product. Hemp My Pet offers three CBD oil options as well as CBD infused dog biscuits. All biscuits are hand made in small batches to provides a treat your dog will love. All products are GMO free, gluten free, and cruelty free. HolistaPet, located in Colorado, uses only the most natural hemp oil for pets to achieve amazing health benefits. Their products contain 0% THC, so your pet won’t get high. All ingredients are 100% natural and have no additives or preservatives. All products contain organic superfoods and CBD. HolistaPet makes CBD oil for dogs and cats as well as cbd infused pet treats. CBD oil for pets has shown to be an anti inflammatory, anticonvulsant, and antipsychotic agent for pets. It has also helped with anxiety, nausea, pain, cancer, and arthritis. The Pet treats are a great way to boost a pet’s immune system and provide overall health and wellness. Honest Paws, located in League City, Texas, believes that pet health comes first and with the help of 100% full spectrum CBD oil, pet health can be vastly improved. 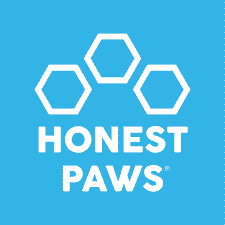 Honest Paws pet hemp oil, Purity CBD Oil, comes in three purity levels. Level 1 contains 125 mg of Cannabidiol and is for pets up to 25 lbs. Level 2 contains 250 mg of Cannabidiol and is for pets up from 25 to 50 lbs. Level 3 contains 500 mg of Cannabidiol and is for pets up over 50 lbs. The pet hemp oil improves anxiety, epilepsy, seizures, joint issues, pain, and inflammation. All products are lab tested by a third party. Joy Organics, located in Austin, Texas, believes in using the purest, organically grown hemp that’s manufactured in the US. Joy’s pet hemp oil does not contain THC, so there are no psychoactive side effects. All products have been fully tested by a third party lab to ensure the highest quality with the most potency. Joy’s Full Spectrum CBD tincture is fast acting and easy to administer. It can be put directly into the pet’s mouth or food. All bottle are 1 oz and contain the benefits of phytocannabinoid rich hemp oil. Soon your pet will be on its way to less anxiety and stress and better overall health. Kat’s Naturals, located in Dunlap, Tennessee, believes in creating farm to home CBD oil. Kat’s Naturals pet hemp oil is organically and locally sources. It is 99% pure due to the clean CO2 extraction process. All products are tested by a third party lab and are shipped with a certificate of analysis. Pet Care contains only two ingredients – CBD oil and extra virgin olive oil. It will help your pets be anxiety, pain, inflammation and seizure free. A few drops into your pet’s ear canal, which is quickly absorbed into the mucous membrane is all that’s needed. Each bottle contains 300 mg per oz of CBD. King Kanine, located in Plantation, Florida, believes all of their products should be made from non synthetic and completely natural products. All of their products are tested by an independent lab and all results are displayed on the company’s website. CBD has natural anti inflammatory properties and has no psychoactive impacts on pets. King Kanine offers King Kalm Crunch and calming balm. 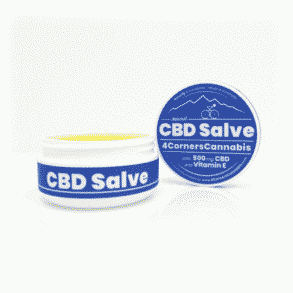 These products help relieve anxiety, pain, seizures, skin problems, and other conditions. King Calm Crunch is a Omega 3 rich cookie made with organic ingredients and anti oxidant benefits. Given to your pets daily, it becomes an integral part of overall health and wellness. LolaHemp, located in Scarsdale, New York, produces all prodcuts with pets in mind. They use only pet safe ingredients, and ensure they are properly dosed for their smaller bodies. Their pet hemp oil is organic and free of pesticides and herbicides. They use a third party lab to test all of their products. LolaHemp CBD Oil comes in 15, 30, or 60 ML bottles and can be used as a daily supplement. CBD oil has been proven to decrease pain, inflammation, anxiety, certain types of tumors and even skin conditions. It has also been found to be helpful with separation anxiety, travel phobia and aggression. 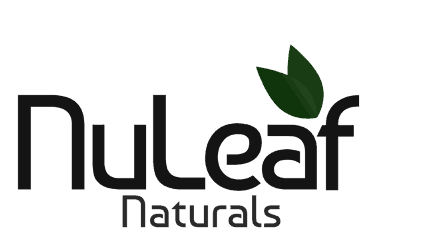 NuLeaf Naturals, located in Denver, Colorado, is passionate about helping people and animals lead healthier lives. They are committed to providing the highest grade organic cannabis oil to their customers. Their pet hemp oil is 100% organic, and without additives and preservatives. Every product is tested by a third party lab to verify potency and amount of CBD. NuLeaf Naturals sells CBD for Pets tincture to improve the health and wellness of pets. CBD has been proved to reduce anxiety and inflammation, and to improve overall health. Just a few drops is all your pets needs to be on the way to a happier life. Pure Hemp, located in Los Angeles, California, believes in using the purest, most potent CBD available. Their products are tested by a third party lab to verify potency. Their pet hemp oil contains only premium quality ingredients. Their CBD Pet drops help reduce and eliminate pet stress, promote a healthy coat and skin, encourage better behavior, and minimize pain. They also produce pet treats, pet shampoo, and pet spray to help with issues such as joint pain, bowel issues, and seizures. Their products are easliy digestable and a healthy addition to a pet’s every day diet. Pure Spectrum, located in Evergreen, Colorado, believes in the most pure products. All products are THC free, 100% organic and sourced from only the best hemp. Pure Spectrum stands behind all of their products with a 100% guarantee. All products are tested by a third party lab for potency. 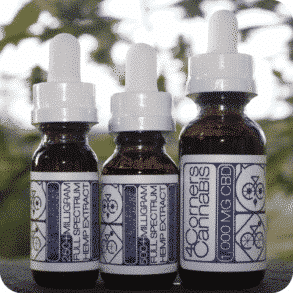 Their pet hemp oil is also organic and full spectrum CDB oil. 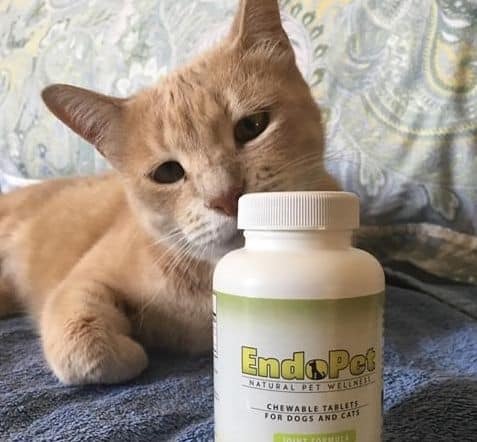 EndoPet is specially formulated to improve dog’s and cat’s joints and ease of movement. These capsules contain healthy fats and anti inflammatory oils to help maintain joints and cartilage. Each bottle contains 2.5 mg phytocannabinoid rich hemp oil. 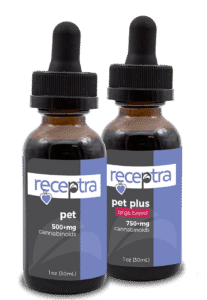 Receptra Naturals, located in Denver, Colorado, developed products for pets that use premium CBD hemp extract for an all natural health and wellness solution. Receptra Naturals develops pet hemp oil that is a non GMO, vegan, and organic daily health supplement. The Pet CBD Oil and Plus Hemp CBD Oil are excellent sources of Omega 3 and 6 Fatty Acids, which is critical to pet health. Receptra Pet has a natural calming effect on pets that have separation anxiety, digestive problems, and fear of loud noises. All products are tested by a third party for potency and each product ships with a certificate of Analysis. 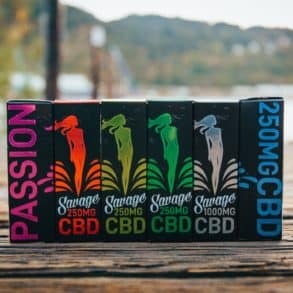 Savage CBD uses only the best ingredients in the industry. 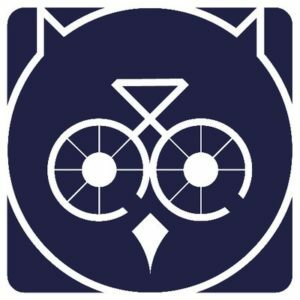 They do not use a supplier that takes shortcuts. Each batch is third party tested to ensure they produce the absolute best CBD products in the industry. They believe the more natural, the better. Their pet hemp oil is derived from the purest, most organic hemp available. Savage CBD believes pets should have balance, too. Their 60 ml Pet Spray contains 500 mg of their full spectrum blend, which contains coconut oil, hemp seed oil and full spectrum cannabidiol. Just a few sprays and each pet will be on its way to less anxiety, pain, and better overall health. How Do I Know the Right Hemp Oil Dosage for Cats and Dogs? In general, dosage for CBD hemp oil will go something like dosage for any supplement or medicine: by weight. The proper dosage should be indicated by the product instructions, but hemp oil for dogs dosage is generally considered somewhere around 0.1-0.5mg per pound of weight, while hemp oil dosage for cats is roughly the same. Accounting for differences in breed or age, as well as the severity of symptoms, can make hemp oil for dogs dosage a trial and error process; start low, and go higher if you see positive effects. What Issues Can Hemp Oil for Cats and Dogs Treat? 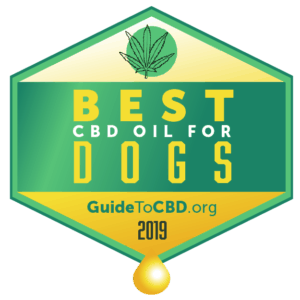 In general, CBD for pets is indicated for the same sorts of illnesses and issues as humans; hemp CBD for dogs include hemp oil for dog anxiety, hemp oil for dogs’ seizures, and hemp oil for dogs’ pain, while hemp oil for cats is used for much the same purposes. It’s important to note that hemp CBD for dogs and hemp oil for cats are only supplements; if your pet has a serious medical issue, pet CBD products should only be used under a veterinarian’s supervision to amplify conventional medical treatment. Anxiety – Many pets owners use hemp oil for dog anxiety and skittish cats. CBD is believed to have strong calming and stress-relief effects, helping to relieve anxiety in pets just as in people. Some examples might include separation anxiety (a frequent concern for dog owners in particular), fear of thunderstorms or fireworks, stress from a change in living quarters or family life (such as moving or having a new baby), and more. Pain – CBD and hemp oil are frequently used by humans to treat chronic pain, and it works in much the same way for cats and dogs, by binding to pain receptors and short-circuiting the signal. Hemp oil for dogs’ pain can help relieve hip issues, foot injuries, and other common causes of pain. Epilepsy – Unfortunately, epilepsy is a fairly common illness for dogs; some breeds suffer from high rates of epilepsy, including Border Collies and Terriers, King Charles Spaniels, and Dachshunds. Hemp oil for dogs’ seizures, just like CBD for human epilepsy, can help reduce the number and severity of seizures in dogs with epilepsy. Cancer – Hemp oil for dogs’ pain has also been used to relieve pain from cancer, though hemp oil canine cancer treatments cannot be expected to cure cancer – only offer relief. Hemp oil canine cancer relief should only be used in tandem with a veterinarian’s care. Can I Give My Cat or Dog Hemp Oil Made for Humans? Sure – you can give your pet the “human” hemp oil or CBD. When it comes down to the basic ingredients, there’s no such thing as “dog hemp oil” or “hemp oil for cats” – CBD is CBD, so CBD products made for human consumption are equally safe for animals. Secondary Ingredients – Just as pet hemp products will have pet-friendly flavors, many pet-centric CBD blends will include ingredients that are known to be good for pets. That may include herbs that are good for digestion, or that have further calming effects to supplement the CBD content. Form – There’s no harm in giving your cat or dog hemp oil from a dropper, in a tincture form, but isn’t it much more enjoyable (and easier) for everyone if it comes in a dog biscuit or cat treat? Of course. That’s why most dog hemp oil or CBD hemp oil for cats will come in pet-friendly packages, which may also include sprays, balms, or chewable pills. There’s no need to make your CBD pet supplements a chore.